In spite of the advances in recognition technology, handwritten Hangul recognition (HHR) remains largely unsolved due to the presence of many confusing characters and excessive cursiveness in Hangul handwritings. Even the best existing recognizers do not lead to satisfactory performance for practical applications and have much lower performance than those developed for Chinese or alphanumeric characters. To improve the performance of HHR, here we developed a new type of recognizers based on deep neural networks (DNNs). DNN has recently shown excellent performance in many pattern recognition and machine learning problems, but have not been attempted for HHR. We built our Hangul recognizers based on deep convolutional neural networks and proposed several novel techniques to improve the performance and training speed of the networks. 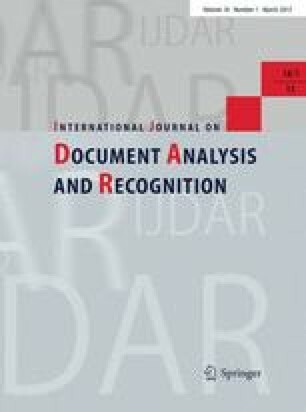 We systematically evaluated the performance of our recognizers on two public Hangul image databases, SERI95a and PE92. Using our framework, we achieved a recognition rate of 95.96 % on SERI95a and 92.92 % on PE92. Compared with the previous best records of 93.71 % on SERI95a and 87.70 % on PE92, our results yielded improvements of 2.25 and 5.22 %, respectively. These improvements lead to error reduction rates of 35.71 % on SERI95a and 42.44 % on PE92, relative to the previous lowest error rates. Such improvement fills a significant portion of the large gap between practical requirement and the actual performance of Hangul recognizers.